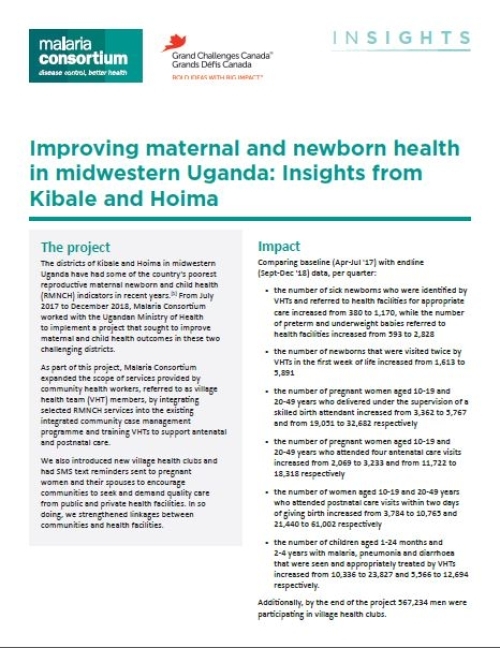 The districts of Kibale and Hoima in midwestern Uganda have had some of the country's poorest reproductive maternal newborn and child health (RMNCH) indicators in recent years. From July 2017 to December 2018, Malaria Consortium worked with the Ugandan Ministry of Health to implement a project that sought to improve maternal and child health outcomes in these two challenging districts. This brief shares insights from the programme.